Sandstone "Venus", height 9.5 cm (3.7"), putatively ca. 200,000 years BP. 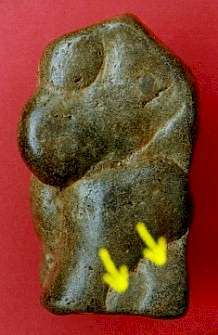 This figure, putatively from the European Paleolithic, incorporates both the classic "Venus" features and the bird and egg motifs that are so common in the image-bearing artifacts both in Europe and at the 33GU218 site in Ohio. On the back side of the Venus, a two-faced figure emerges egg-like from the posterior. "Venus" figure, height 14.5 cm (5.7"). Flint "Venus", height 12 cm (4.7"), putatively ca. 450,000 years BP. Here, a face seems to emerge (also egg-like) from the posterior of the primary figure. Flint "Venus", height 10 cm (4"), putatively ca. 450,000 years BP. 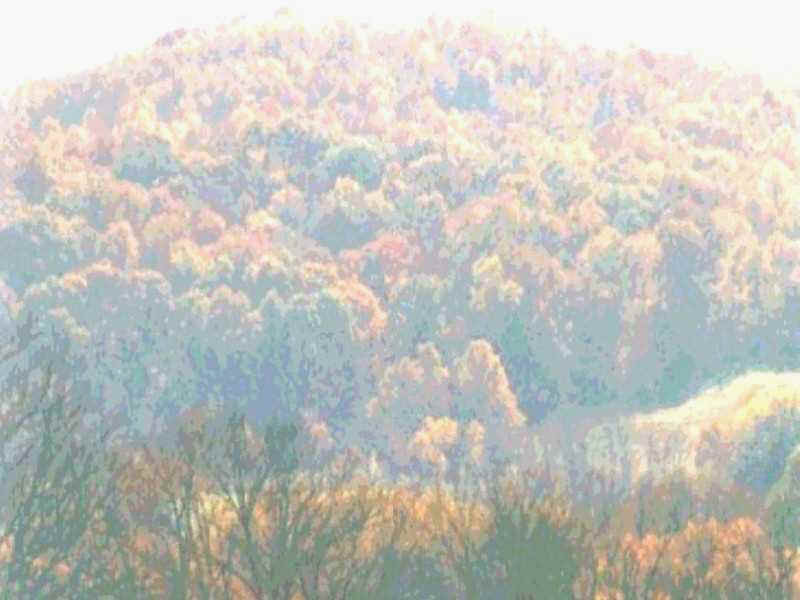 Note the head emerging at the bottom. "Venus", height 8 cm (3.2"), putatively ca. 450,000 years BP. The drilled hole through it is an interesting feature. Flint "Venus", height 10.8 cm (4.25"), putatively ca. 450,000 years BP. Flint "Venus", Acheulean, putatively ca. 350,000 years BP, height 4.3 cm (1.7"). There appears to be a face emerging from its mouth, an interesting presence of this motif in the European "Venus". An anthropomorphic figure, in this case incorporating several common sub-motifs: a creature looking down over the forehead; one eye open, one eye closed; and a bird-form nose. A typical simple face with an apparent zoomorphic head forming a crest over the forehead. The head on top and the protuberances giving the appearance of eyes suggest the female form of the classic "Venus" with a face emerging from the belly. Ca. 450,000 years BP. Quasi-anthropomorphic owl-like figures. In the leftmost photo, a face appears on the belly of the figure. On the leftmost figure in the photo right, a face also emerges from the belly. Bird form with anthropomorphic head. Classic motif of a primary figure with another on its head, and yet another emerging from its mouth. A flint rabbit - from Germany, actually, but interesting. From the collection of Max Herder. Click your browser's "Back" button to return to the point from which you entered this page.